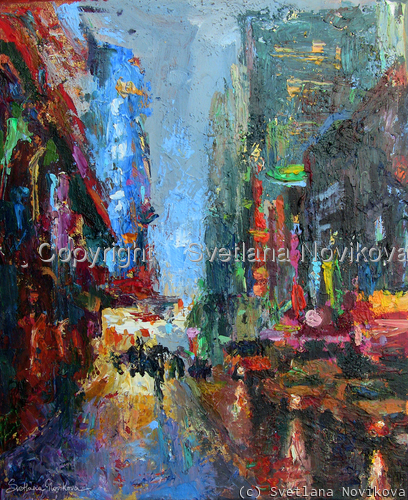 Impressionistic painting with palette knives in acylic. Original has a lot of texture. Still available for sale. 6.125" x 5"8.625" x 7"11" x 9"13.5" x 11"16.125" x 13.125"